Dubai: Five-year-old Cyprien Flour may not understand for now why a grandpa in a white robe lovingly held his head one Tuesday morning amidst a massive crowd. But he will later on. 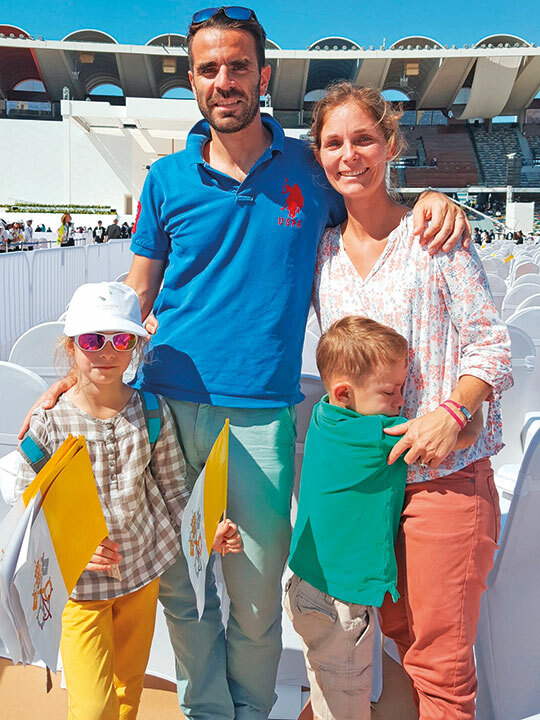 The French boy received what tens of thousands of parents had prayed for during the Papal Mass in Abu Dhabi— to be blessed by Pope Francis. Jean Baptiste, Cyprien’s father, said they were not expecting the Popemobile to stop next to them while the pontiff was being toured around the Zayed Sports City Stadium. “It happened quickly. 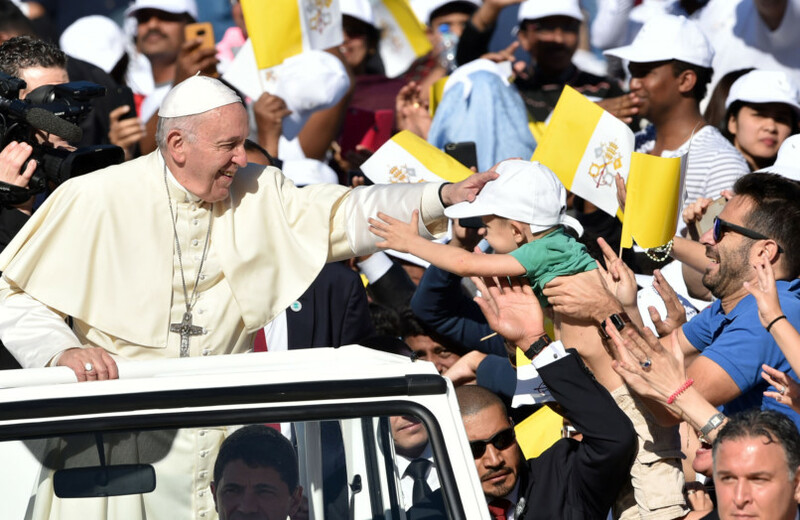 The Popemobile stopped and I lifted my son up and the Pope touched his head and blessed him,” Baptiste, whose family arrived at the stadium at 4am, told Gulf News. Unlike in many of his public appearances in other countries where the Pope would motion the driver to stop so he could bless children and people of determination along the way, the Popemobile didn’t make several stops at the stadium. No Swiss Guard “kid-fetcher” was there as well, making Cyprien’s brief encounter with the Pope a rather special one for his parents. At just age five, Cyprien is already actively serving at church. “He’s the youngest servant in St Francis Church in Dubai. He goes to church every Saturday. He’s a good boy. We’re doing our best to educate our children about our faith,” Baptiste said. Cyprien’s mother Sixtine described her son as an obedient boy who prays a lot.